Internationally recognised experts on blood disorders are set to fly into Glasgow this week for the start of the largest global conference on haemophilia. More than 4,000 delegates from 134 countries will attend the bi-annual World Federation of Hemophilia Congress, which takes place at the Golden Jubilee Conference Hotel and the Scottish Event Campus (SEC). The conference will begin this week at the Golden Jubilee Conference Hotel, which will host the association’s 10th Global National Member Organisation training event for over 180 delegates from 17 – 19 May. The Scottish Event Campus will then welcome the 4,000 delegates attending the main congress from 20 – 24 May. Combined, these meetings are expected to provide a boost of £8.4million to the city’s economy. The WFH congress will bring together people from a wide range of professional backgrounds including haematologists, paediatricians, orthopaedic surgeons, physiatrists, physiotherapists, dentists, nurses, social workers, psychologists, geneticists, laboratory technicians, researchers, scientists, policy makers, and advocates, as well as members living with haemophilia who will make up roughly 10% of delegates. Experts in blood disorders will present on some of the cutting-edge medical techniques and advances including gene therapy. 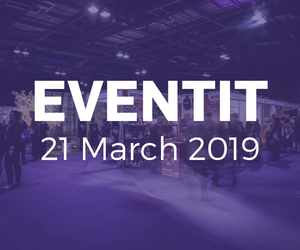 To ensure Glasgow gives the warmest welcome possible to all attendees, Glasgow Convention Bureau partnered with Glasgow Welcomes and VisitScotland to offer free, bespoke awareness sessions delivered by experts from the haemophilia community. 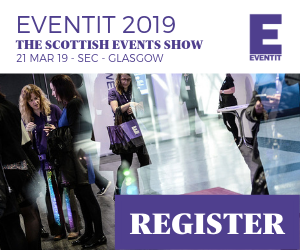 The educational sessions were designed to help customer facing staff better understand the requirements of delegates who will soon be arriving in Glasgow and using services such as hotels, restaurants and taxis as well as visiting museums, art galleries and other attractions in their free time. Information provided included making hospitality and taxi staff aware of the fact that ‘those with haemophilia cannot carry their own bags, so help with luggage and trollies would be appreciated’. Advice also included the fact that ‘after travelling, people with haemophilia are more susceptible to internal bleeds and will need a quiet and private place to mix and inject their medicine.’ Training also highlighted that those with hemophilia may require taxis for short distances – because the condition can affect mobility – to ensure drivers were aware. A treatment room will also be set up at the SEC to ensure delegates can safely take their medication if required. Training sessions were filmed to ensure that a legacy is being left which can then be used by the next destination to host the WHF, Glasgow Convention Bureau (GCB) confirmed.